Command Plastic manufactures thermoformed products using a wide range of materials and thicknesses. Integrated features such as latches, hang holes, and logos can be incorporated without adding additional manufacturing operations. 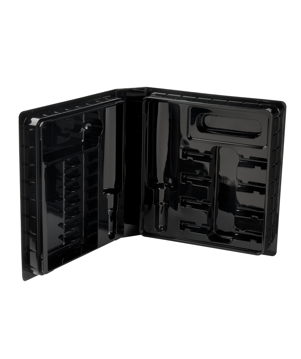 Speak to a Command Plastic representative to help select the right material and design for your application.